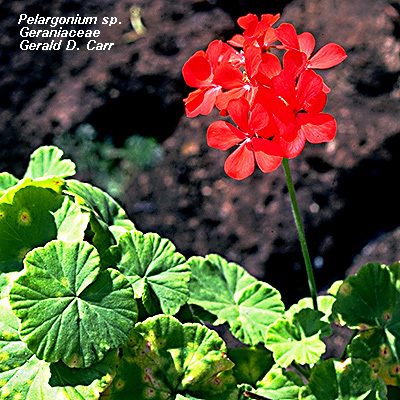 Geranium arboreum, nohoanu. 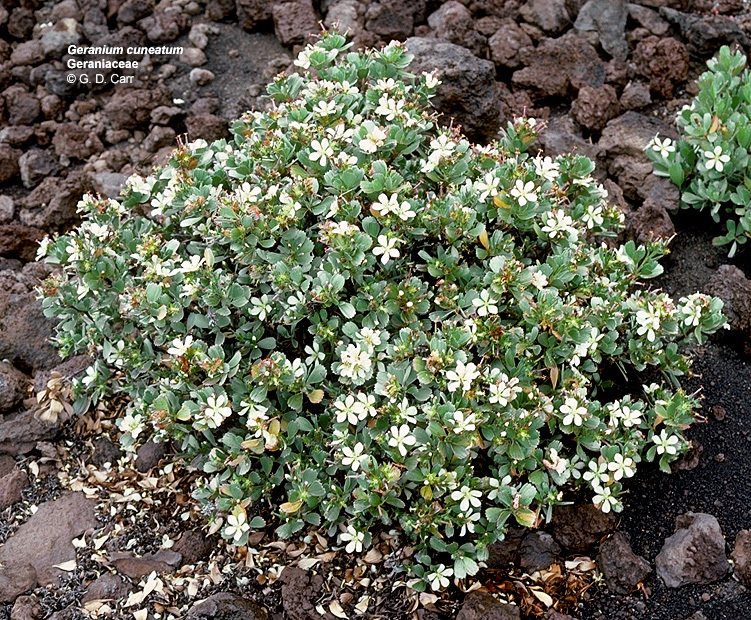 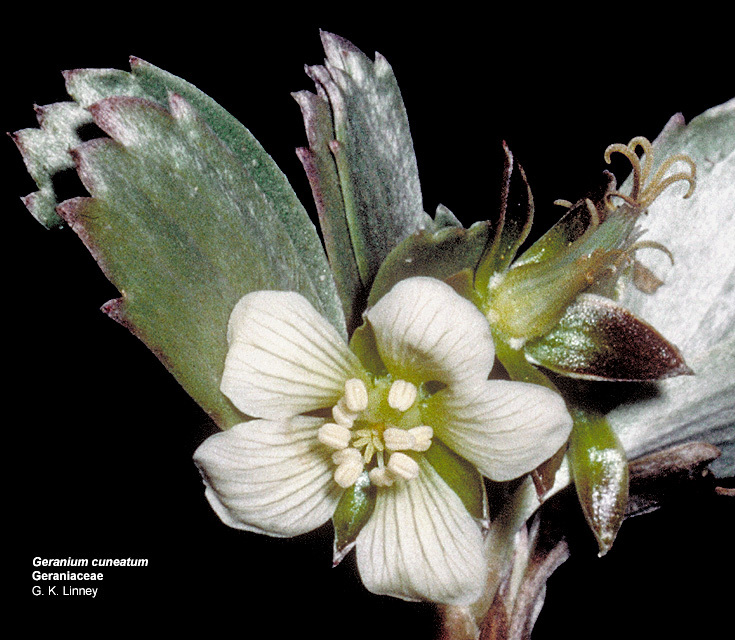 This Hawaiian endemic has zygomorphic flowers, a trait unusual in the family. 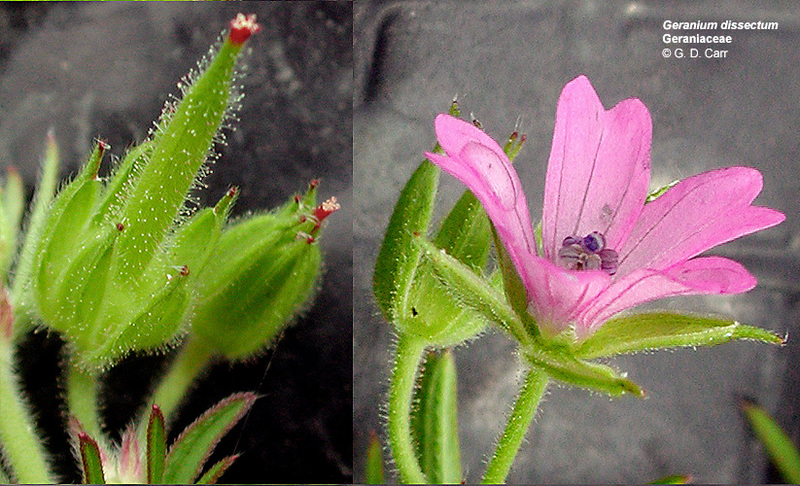 The lower photo shows the native apapane taking nectar from a geranium flower. 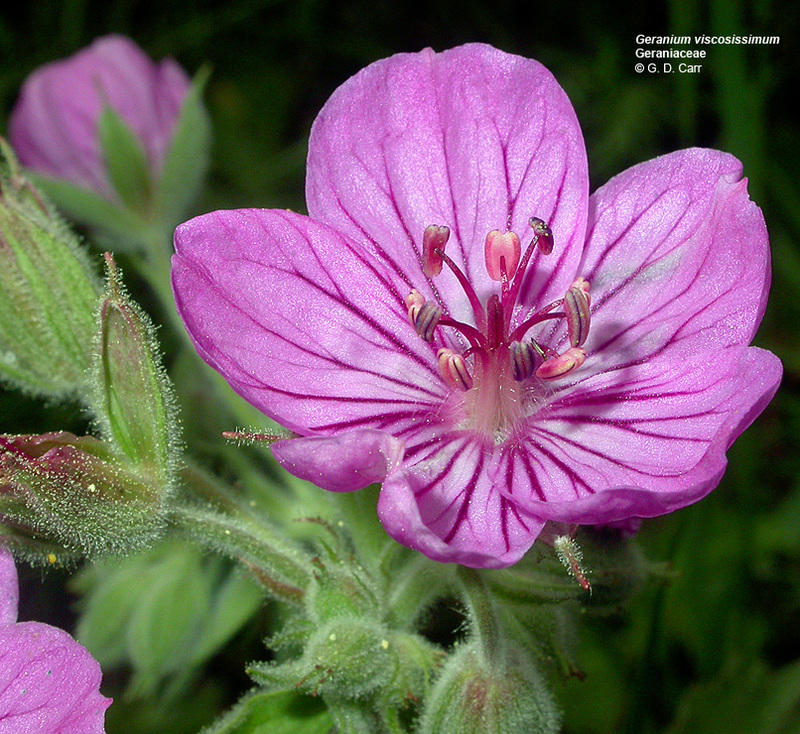 Geranium cuneatum, nohoanu, hinahina. 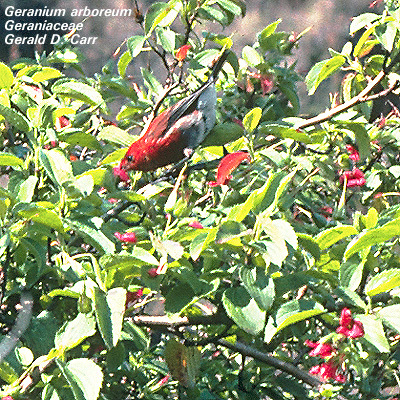 Hawaiian endemic. 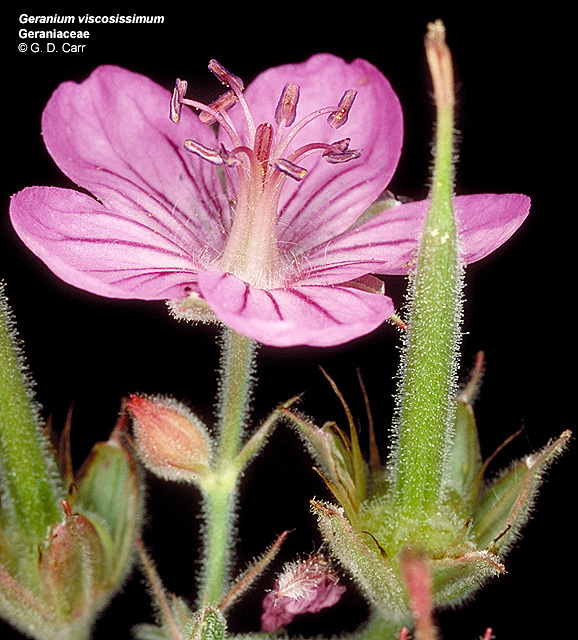 Geranium dissectum, cut-leaved geranium, vic. 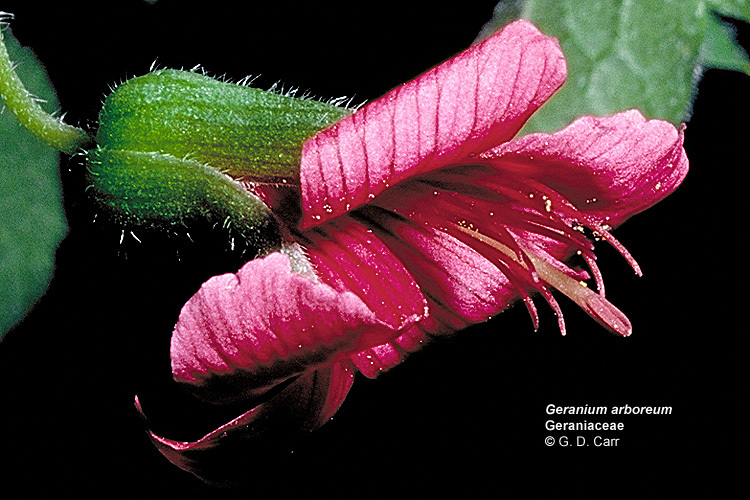 Corvallis, OR, 2002. 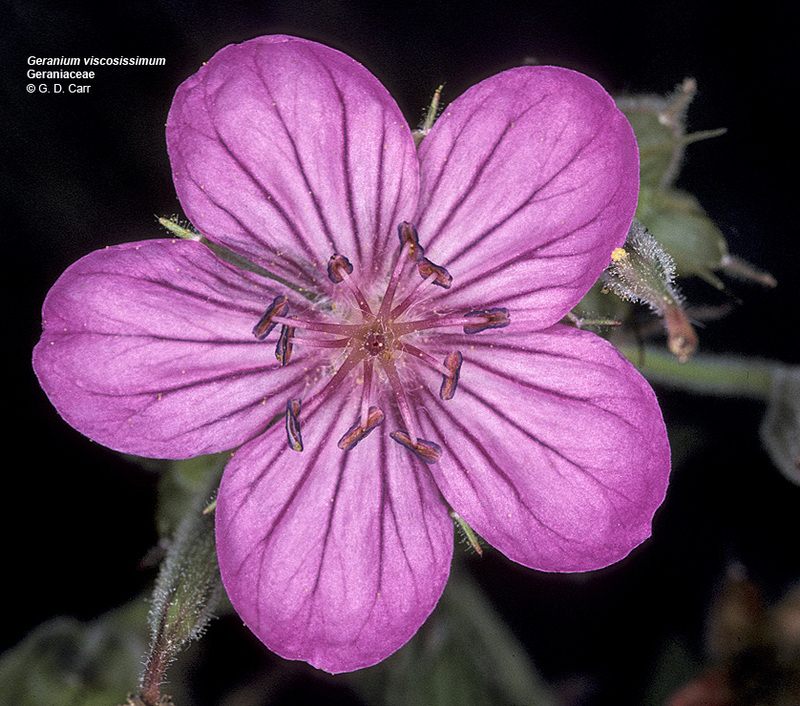 Geranium molle, dovefoot geranium, OR, 2003. 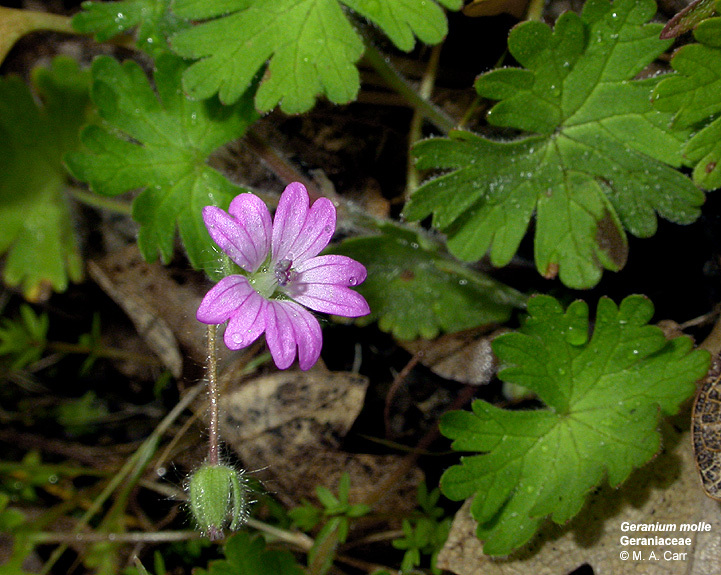 Geranium viscosissimum, geranium, 1,2 - vic. 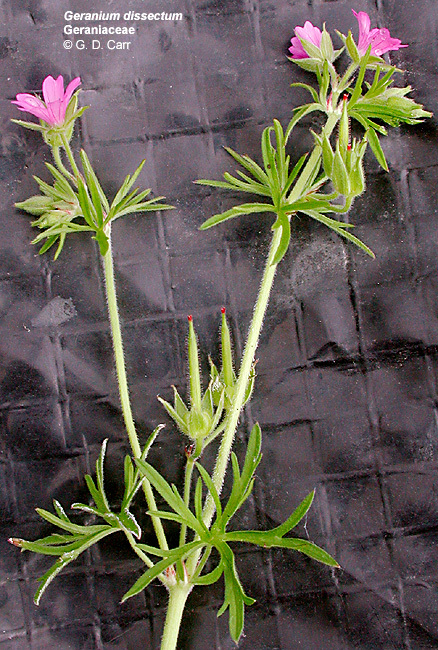 Cheney, WA; 3 - vic Post Falls, ID, May 31, 2005.